The next morning I couldn't believe how fortunate we'd been on eclipse day. 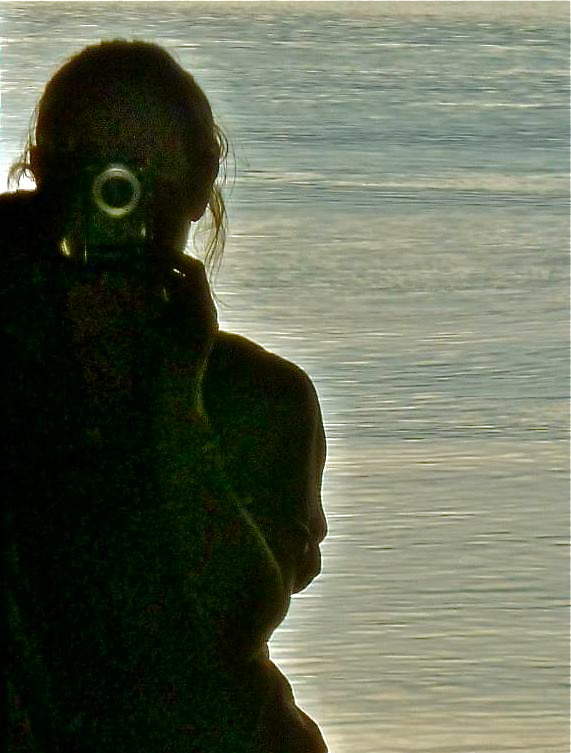 The sky was now white, not blue; as if a gauze curtain had been drawn from horizon to horizon. It dawned on us that the gauze was smoke not mist, and we assumed it was fires in BC that were responsible, as they had been when we landed in America ten days ago. In fact, the fires lay directly east and southeast of us as we left Salem on Oregon Route 22, although we didn't work it out until visibility worsened considerably. We realised we were going to see little of the Cascade Range as we crossed into the state's interior. There was little traffic going our way but lots coming in the other direction. We concluded some of it must be eclipse chasers coming down from the mountains on their way home. There continued to be a white-out sky and little brightness, first at Big Cliff Reservoir, and a bit further on at Detroit Dam and Lake. The smoke haze was producing many lovely shades of blue, on the other hand. As we climbed, the forest in places didn't look too healthy, especially with its eerie smoky-blue cast. By now, we could smell the smoke inside the car. We joined Route 20 – which, incidentally, crosses the US from the Pacific Northwest to New England – just before the Santiam Pass (4817 feet). On a clear day there might have been views of as many as five volcanic peaks, including Mt Washington to the south and the intriguingly named Three Fingered Jack to the north, but we would never know. My friend had been following a geology trail since we left Salem. Unfortunately, there was either little opportunity to pull off the road to look at the features described in the book or no visual evidence of them at all, despite references to mile markers. One was plain to see, however: a lahar (below) is a mud flow or debris flow consisting of volcanic rocks, or bits of them, and other rocky material and water. It has the consistency of wet concrete, and originally flowed down from a volcanic peak, often along a river valley. There were increasing numbers of roadside warnings: 'Fire activity ahead. Use caution'. But what exactly did fire activity mean? Big trucks or raging flames? Were we about to be turned back? We reached the town of Sisters (great name, and south of it is Bend, which is even better). It's a pretty little place, but smoky. The main drag is full of cutesy specialty shops. There was a fire information point in the centre of town, where we had a long chat with a volunteer from Arizona. He was part of a Fire Management Team comprising federal, state, county and local people. A fire had been burning southwest of Sisters for 11 days. Part of the area is designated wilderness so firefighters are not allowed to take in heavy machinery to remove 'fuel' for the fire away from the firefront. They were not expecting it to be extinguished until a season-changing weather event occurred. The southwestern edge of the blaze was spreading west, but there was concern that the wind might veer to become westerly and therefore drive the fire northeast towards town. The map was updated every 24 hours. We mentioned we were from Australia where the bushfire season was only weeks away. He told us that in 2000 there had been a massive fire season and he had worked alongside volunteers brought in from Australia to help out, but he couldn't always understand what they were saying. We already knew it was wildfire season in the Northwest, but had no idea of scale. The man told us that across Washington and Oregon there were currently 15 Fire Management Teams dealing with incidents. Further afield to the east, in Idaho and Montana, there were 33 different management teams. There were another two fires relatively close by: one near Mt Jefferson and one up near Madras, which had been a more highly favoured location for eclipse watching than Salem, but, we'd decided, less convenient. It was 34 degrees when, just beyond Sisters, we turned off on to Route 126, known as the McKenzie Highway as far as Redmond, and then the Ochoco Highway to Prineville, our destination for the night. We weren't leaving the big smoke behind us, unfortunately, and as we looked down over Prineville (below), we grew concerned that the dull light was going to reduce the impact of the next stop on our geology tour. 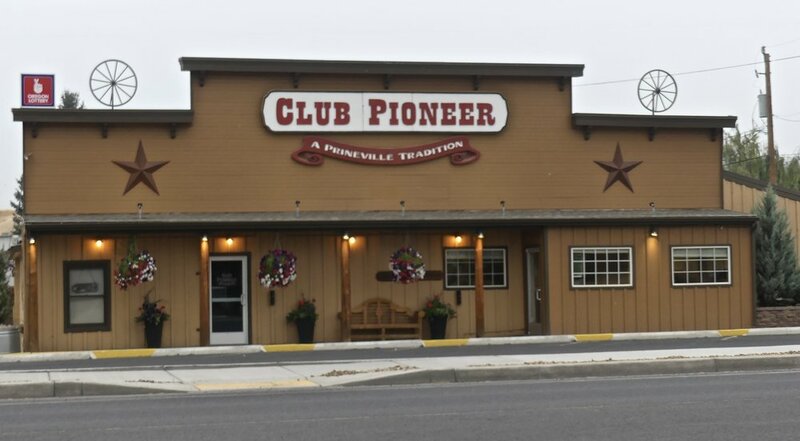 That evening we ate at Club Pioneer, a place with a big history, since 1942. We got talking to the owner at one point. He quietly explained that, while east of the mountains was not exactly redneck country, it was a far cry from the 'Left Coast' of Seattle, Portland and Salem. We kept our heads down and made sure we didn't mention the T-word. Nothing much had changed by next morning. We had a long day of driving ahead so we were on the road just gone 7. This was the best the sun could do through the smoke. 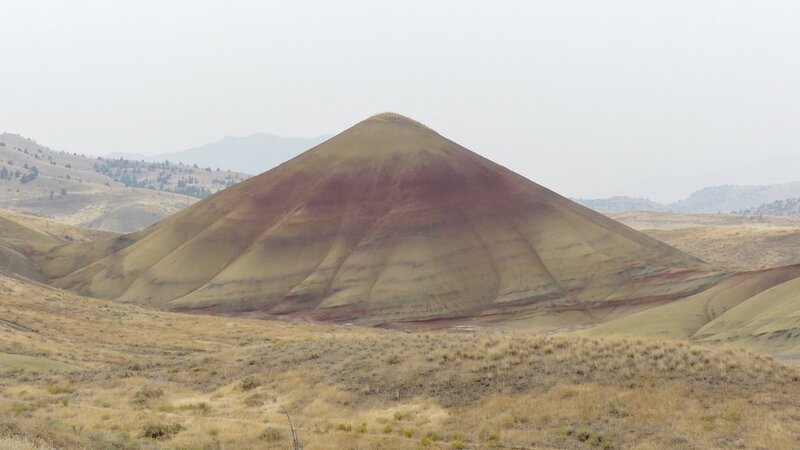 We continued along Route 26 until about nine miles short of Mitchell, where we turned left at an insignificant junction for John Day Fossil Beds National Monument (Painted Hills Unit). Almost immediately, and despite the dullness, we got a taste of what we'd come here for. 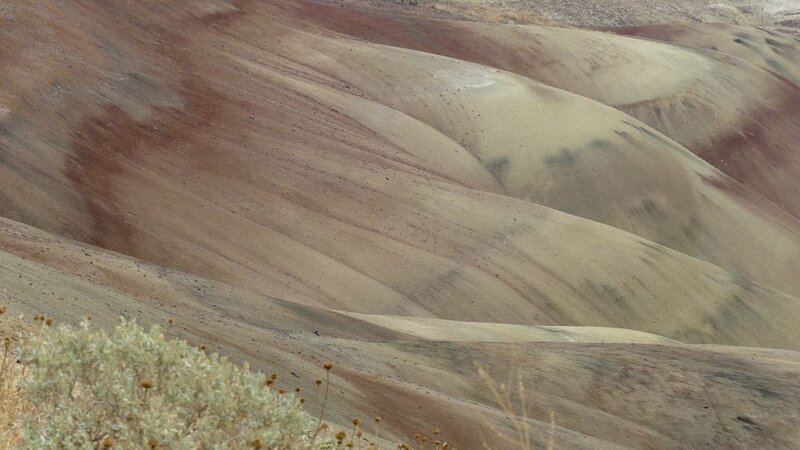 The red layers are volcanic ash; the greenish layers above them are clay; and the buff-coloured layers on top are tuff, formed by the consolidation of volcanic ash. Even without the benefit of sunlight, the colours were beautiful and the rounded shapes pleasing. It was quite a winding drive to the second John Day Unit, the Clarno Fossil Beds. 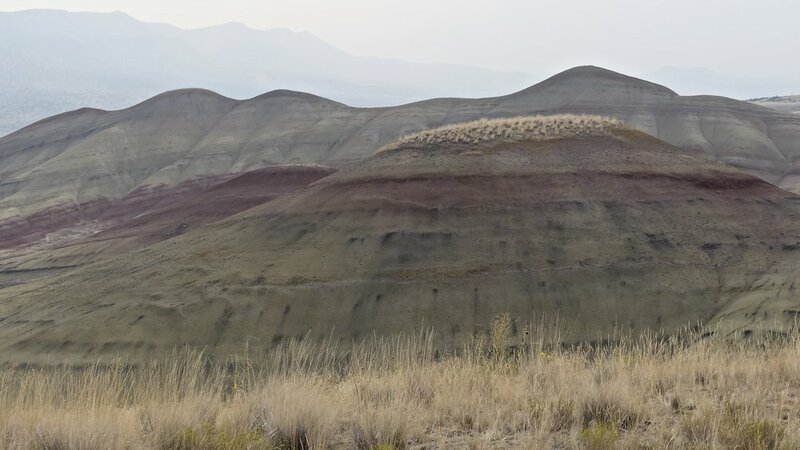 To cut some corners, we continued north from the Painted Hills on an unsealed track that was badly rutted in places, following the John Day River valley until we hit Route 19, aka the John Day Highway. I had high hopes for the town of Fossil, for a coffee at least, but everything was closed. Eventually we persuaded someone at the 'Visitor Centre' to power up the espresso machine, and I forced down yet another stodgy blueberry muffin. We'd been woken in the middle of the night by someone's vehicle reversing warning noise, and the Best Western breakfast was dire, so a sugar hit was necessary. As always, I was on the lookout for dilapidated sheds, still regretfully remembering the barn style I hadn't captured in the Oregon Coast hinterland. Clarno's striking columns were originally a large lahar that was gradually weathered into these extraordinary shapes. 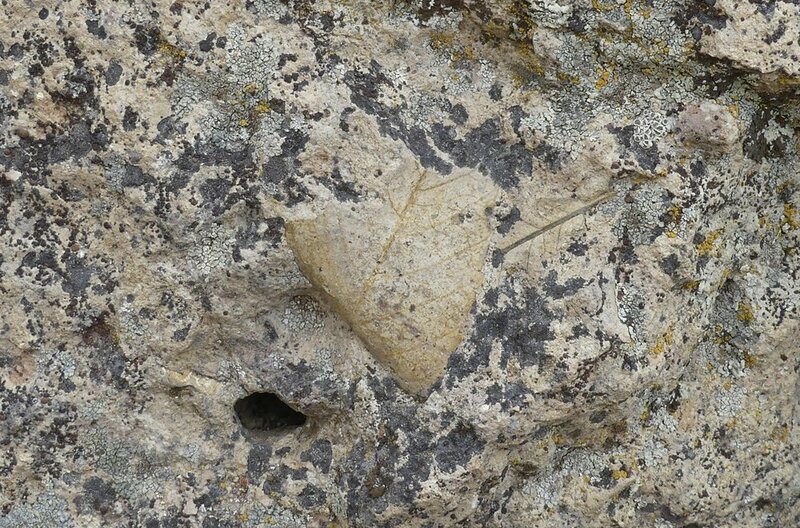 Within the original avalanche of volcanic material many plants and animals were fossilised. I have rarely seen so many easily identifiable fossils. We found leaves and tree trunks as we climbed the heights, although there were helpful pointers. A notice drew our attention to the large curved crack in the left-hand third of the cliff above. One day, it said, that massive slab of rock to the left will slide off. It could happen tomorrow or centuries from now. Nothing that size has fallen in at least 100 years, and the last time even a few boulders fell was during the 1960s. There was also the Clarno Arch to study, high above us. This formed when less resistant rock behind and below was eroded by rain and the action of water freezing and thawing. During summer rainstorms a short-lived waterfall sometimes pours through the Arch. By now the sky was almost blue and the temperature was rising steadily. Raptors soared above other areas of the ramparts, away from visitors' trails. 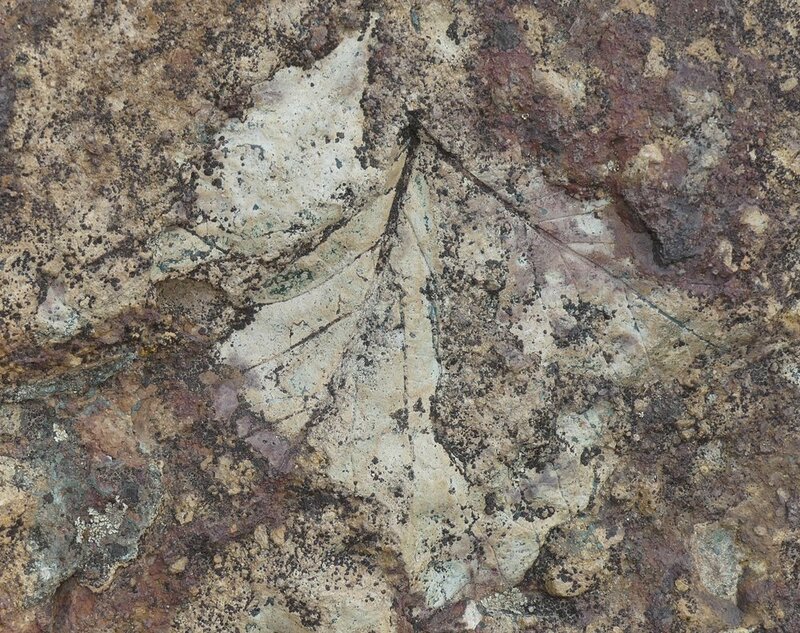 Below are fossilised branches, vines or roots. And below them, the end of a fossilised tree trunk. It was time to head west and then north, back into Washington state. The air was still murky in places and some country had burned recently, the combination of which left a somewhat bleak impression. Beyond Antelope (another great name), we joined Route 97 at Shaniko. I slept for a while beyond this point. My friend told me I missed a gloriously empty landscape. I awoke in time to see another snow-covered volcanic peak appear like an apparition – Mt Rainier, I assumed. We crossed the mighty Columbia River at Biggs. There's not as much of a gorge here as further downstream, and the landscape is a bit stark. 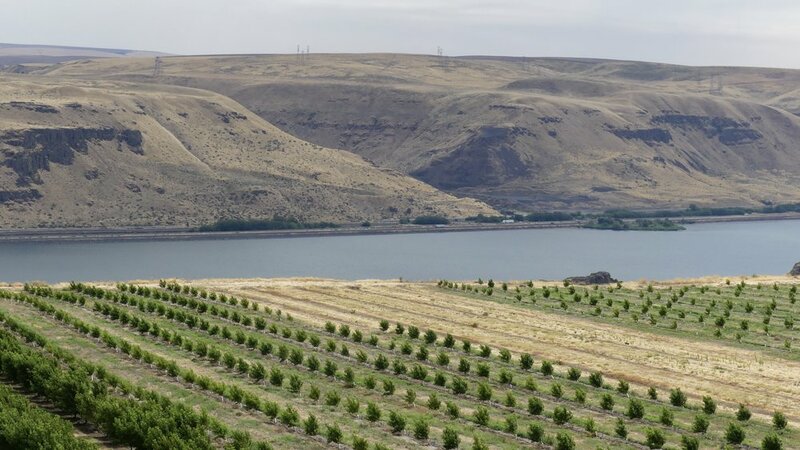 Immediately in Washington we visited award-winning winery Maryhill. They had a decidedly couldn't-care-less attitude at our tasting, so we didn't linger, save for one last look back at Oregon. 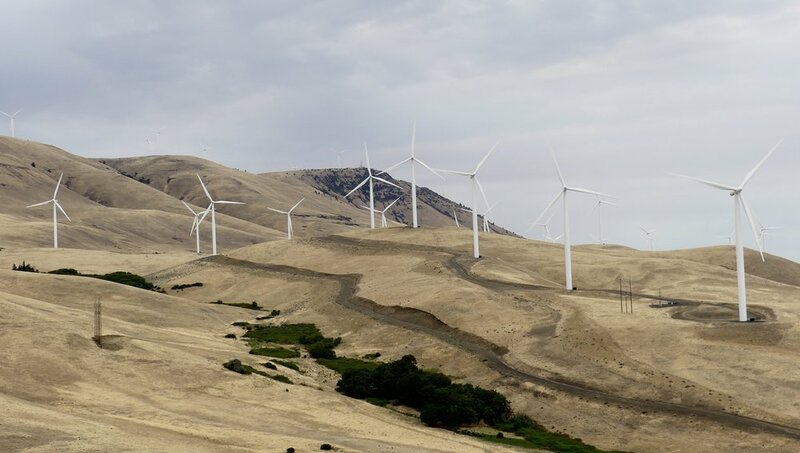 As we climbed up away from the River, still on Route 97, there was another impressively situated wind farm. From then on we made good time to Yakima, where we were going to stay two nights. 'The heart of Central Washington', Yakima is, unsurprisingly, on the Yakima River, a tributary of the Columbia. The city lies southeast of Mt Rainier and northwest of the less well-known but charmingly named Rattlesnake Hills. Interstate 82 (I-82) runs down the whole valley and it was this we were trying to avoid when we got diverted because of a house fire and ended up on the congested freeway anyway. I guess we'd never really got over Seattle.